/ Prosperity Marketing System Review – Paid Sales Funnel Lets You Earn Massive Income? The TRUTH Exposed! Quick Summary: Prosperity Marketing System is a $12-worth sales funnel that claims to help you get a massive commission. Even a single earning, according to the sales video, is more than enough to pay for your monthly membership fee. But how true are these claims? Can you really make a lot from this program? Is Prosperity Marketing System even legit in the first place? Starting a business online is not easy. It takes a lot of time, effort, and even money before you get it up and running. Lucky you, there are many methods available nowadays which can help you attain success, almost in an instant. One of the common system used is a sales funnel. Every seasoned marketer and networker know how important this tool is especially in generating traffic and sales, and looking for one is not hard. 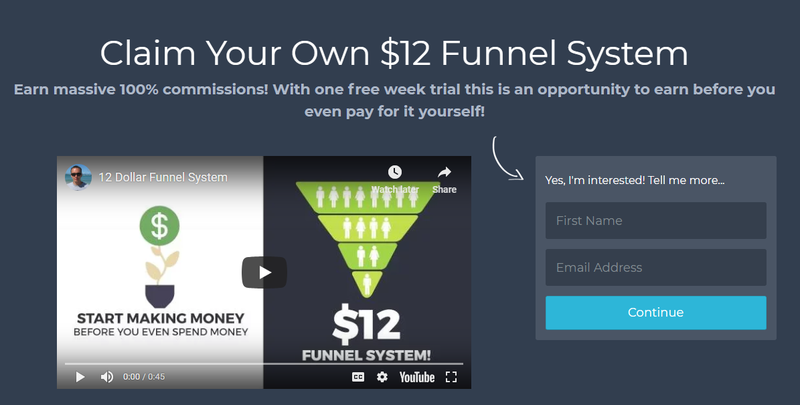 There are literally a lot of revenue funnels online and the only challenge is finding the one that works the best. In this post, we’ll discuss one of the longest-operating sales funnel online called Prosperity Marketing System. All the good. The bad. Exposed! What Is Prosperity Marketing System About? Prosperity Marketing System is a paid sales funnel founded by Darren Olander, an Internet marketer who has developed several good-quality websites like Viral Nugget, Marketing Check Point, and List Surfing. The system claims to help users, such as affiliate marketers and networkers, earn a massive amount of commission. Established in 2009, Prosperity Marketing System is one of the oldest, operating sales funnel online and it claims that it has every single thing you need to make money. It provides 100% commission payout scheme, which, by the way, is a large amount compared to other similar systems. In their sales video, the spokesperson even said that one commission is enough to handle the monthly fee. Is Darren Olander A Real Person? If you’ve been debunking scams for a long time, you might wonder if Prosperity Marketing System is a scam. It’s been on the Internet for 10 years but still, the design is outdated. Plus, it has several elements that are common to any scam or low-quality products such as the exaggerated claims, voice-over sales video, little to no details about what the product really is, and a lot more. However, I found out from a forum that Darren Olander is legit. He’s a real person and he uses his real identity. On top of this, I’ve read positive feedback about the program that’s proven its legitimacy. Signing up with Prosperity Marketing System seems easy. 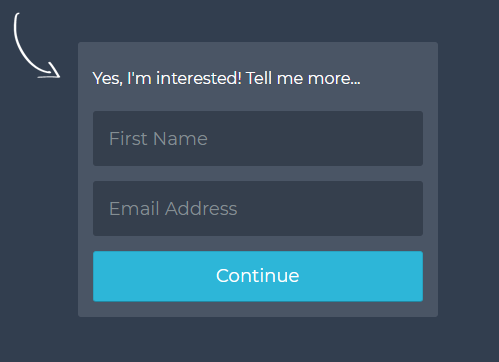 All you need is to provide your first name and email address. 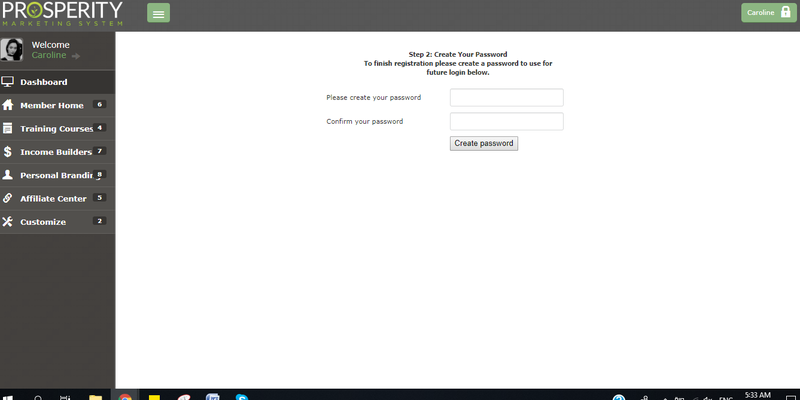 Then you’ll be lead to a member’s dashboard where you’ll be asked for a password. Once you’re hooked to the system, you’ll be asked for your credit card details. You don’t have to worry though, according to their website, as you can cancel the membership within 7 days in case you’re not satisfied. Although the Prosperity Marketing System is legit and it’s received a lot of positive feedback, I still can’t ignore the fact that you’ll never make a massive amount of income in just a little time. 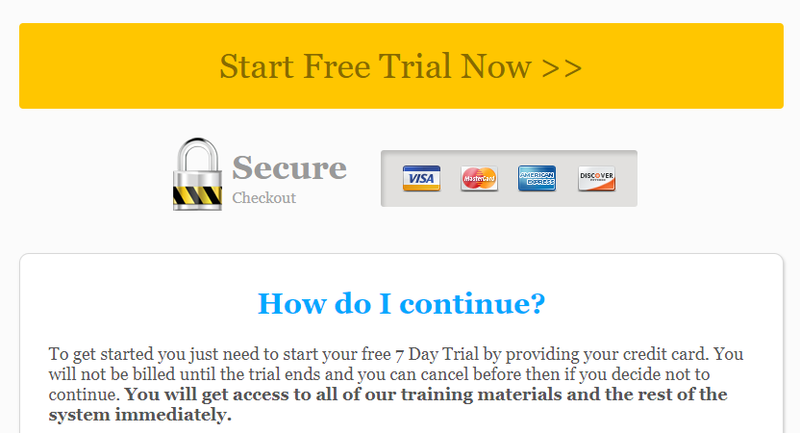 Also, you need to consume the 7-Day free trial first before you can start earning and learning from the training. Another thing is that I’m not confident with providing credit card details. I’ve seen a lot of horror stories from other systems about their being charged even before their free trials end. Nonetheless, you can always try at your own risk. If you want to join a risk-free program that will help you earn cash (and possibly a passive income), you should join my top recommended method. You can join as a free member with no credit card involved. You’ll have access to free training and unlike this system, you don’t have to wait for your free trial to have access to the training materials and commissions. And this is the best part -- you can meet other members on this platform. You are free to join forums, ask advice, and basically, mingle with like-minded people. This program has earned my trust a lot knowing that there are real people you can talk wit. This is where you can edit your profile account and check other necessary tools such as support desk, testimonials, sponsor information, credit card information, and your subscription (which you can cancel anytime). As the name suggests, this tab contains all the training tools you need to learn more about internet marketing, the system, solo ads, and creating traffic. This gives you access to an autoresponder, advertising co=op, ad tracking, traffic exchange, etc. This gives you access to your own autoresponder, splash page, and external profile. You can also manage your own splash page and rotator. This gives you access to your commissions, downline information, tag stats, and affiliate toolbox. This tab allows you to upgrade your membership level if you want to have more training and earning opportunities. Is Prosperity Marketing System A Scam? No. Prosperity Marketing System is legit and so as the owner. It’s been operating since 2009 and so far, I’ve never seen any major complaints. But even so, you should lower your expectations. No one can earn an insane amount of cash in just a little time. This membership is for free. As the name suggests, you can check out the dashboard of Prosperity Marketing System, create landing pages, but other than that, you’ll get nothing else. You cannot earn commission nor have access to the training. This membership only lasts for 7 days. After 7 days of free trial, the next membership level is called “student”. This costs $12 per month and you can start earning a hundred percent commissions for successful referrals. This gives you access to other perks like autoresponders, training, 15 affiliate programs, trackers, etc. Should you decide to have more earning and opportunities, you can upgrade your membership account to “owner”, which costs $97. This is a one-time fee though and you can have full control of the training, which means you can add more content. On top of this, there are other costs associated with the Prosperity Marketing System such as the “other services” to make this system work for you. For instance, an autoresponder like Aweber, which is free for 30 days; however, you need to pay $19 a month to use this service once the free trial expires. In addition, you have to pay for solo ads, too. Although you only have a 7-day free trial for Prosperity Marketing System and you have little to no access at all, you have the chance to look at the system and find out if this will work for you. You only need to pay $12 a month for their student membership fee. This is very low considering that you will earn 100% commission from the program. Also, if you want to expand opportunities and give yourself a chance to earn more, you can upgrade your membership to “owner” and pay only $97 one time. To be fair, Darren Olander has done a good job sharing basic points about traffic generation, internet marketing, and how to use the system. However, it’s not high-quality material and later on, you’ll realize that you need to invest more, you need to upgrade your membership, to learn more about the program. If you think you’re just going to pay the membership, then think again. There are solo ads involved, which you will shoulder, and it can really cost a lot. Whether you’re a beginner or not, the Prosperity Marketing System can be quite confusing. There are just too many programs to sign up for which is not only time-consuming but can also be too complicated especially when you’re just starting with this kind of method. Prosperity Marketing System can be used by beginners who want to learn more about Internet marketing. The training talks about the basic things you need to know to succeed in this kind of business model. However, as mentioned above, there are a lot of programs to sign up for which can be confusing. It can also be used by seasoned marketers and networkers. The funnel provided is almost complete as it can generate more leads and sales which is a huge help if you want to earn more. Although there are other sales funnel systems available, the Prosperity Marketing System is one of the oldest sales funnel brand. But then again, the training is weak and probably, you already know most of it. Prosperity Marketing which is about autoresponders, downline builders, splash page builder, advertisement tracking. Prosperity Marketing System is legit and it’s good to know that it’s been operating for a long time now. It offers many perks to members especially if you upgraded your membership account to “owner”. However, like other programs, it has a few downsides, too such as the quality of training and other expenses involved. Nonetheless, it has proven its efficiency when it comes to making money. In fact, when you search for other Prosperity Marketing System reviews, you’ll find a handful of positive feedback about the program.